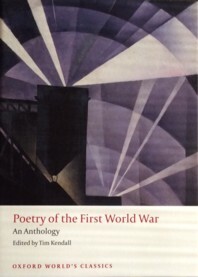 Tomorrow is Anzac Day & I've been reading this new anthology of First World War poetry edited by Tim Kendall so I wanted to feature a war poet in Sunday Poetry today. Last week I watched this excellent TV program about Ivor Gurney, one of the soldier poets of the Great War (George Simmers's blog is a wonderful resource about the Great War, by the way). Gurney survived the war but spent the last 15 years of his life in an asylum. He was a wonderful poet & musician. He studied at the Royal College of Music & wrote some beautiful songs. Here's a link to Bryn Terfel singing Sleep, one of Gurney's five Elizabethan songs. One of the poems featured in the program was this one, The Silent One. It was written long after the war, when Gurney was in the asylum. 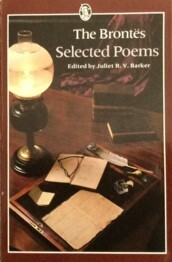 His war experience was central to his life & he revisited it in his poetry during the first years in the asylum. 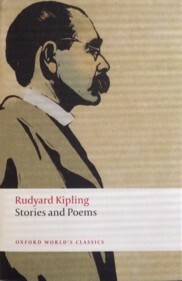 His failure to get his poetry published depressed him further & he seems to have stopped writing after the mid 1920s. He died in 1937. A noble fool, faithful to his stripes - and ended. Again retreated a second time, faced the screen. I just had to end the week of the 1938 Club with a poem. I had trouble finding a poem so I've chosen a song instead, written by a poet so I've decided it counts! I'm a Stranger Here Myself by Ogden Nash. It was set to music by Kurt Weill for the musical One Touch of Venus. Here is the lovely Ute Lemper singing it. Presteignton Hydro is not a fashionable, top class resort. The twenty or so permanent residents are retired people of the professional middle classes - widows, spinsters, military men. Run by Dr Williams & his staff, the Hydro caters for those with small private incomes & an infectious love of gossip & scandal. Like any closed community in a Golden Age murder mystery, the residents encompass many different but familiar types. Miss Astill, the sheltered spinster with religious leanings; Miss Brendon, the elderly invalid losing her sight but kept informed by her devoted companion, Miss Rogers; Mrs Napier, who pretends that she has lost the use of her legs although no one really believes this; snobbish Lady Warme, a widow who flaunts her love of opera on the strength of one visit to La Scala but whose husband made his money in groceries; Mrs Marston, who is at the Hydro with her irritable invalid husband & two young daughters & my favourite character, would-be detective novelist Mrs Dawson, who is trying to become a writer to make enough money for her son, Bobby's education. The male residents are less inclined to gossip but are just as eccentric. Admiral Unwin, who loves crosswords & Colonel Simcox, always needing help with his knitting. 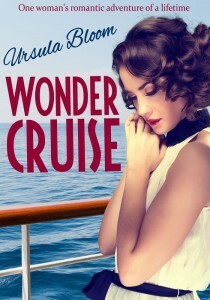 The Admiral is being pursued, if you believe the gossip, by Nurse Hawkins & the colonel is besotted with a newcomer, a beautiful young woman, Antonia Blake. Another new resident, Sir Humphrey Chervil, is also interested in Miss Blake & the gossips are enthralled by the potentialities of this love triangle. After a concert, organised by Lady Warme, where Miss Blake obligingly steps in at the last moment as accompanist, she & Sir Humphrey are observed lingering in the lounge. 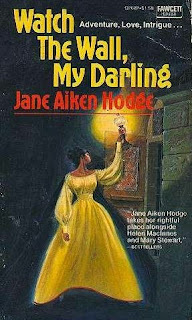 Next morning, Miss Blake is discovered in the lounge by the housemaid. She's dead, with a steel knitting needle plunged into the back of her head. Inspector Palk & Sergeant Jago take up the investigation & soon arrest Sir Humphrey when Miss Blake's jewel box is found on the top of his wardrobe. However, when a second murder occurs, with the same modus operandi, the Inspector has to consider the possibility of a second murderer imitating the first or could he have arrested the wrong man? The investigation is very entertaining as almost every person he interviews accuses someone of the crime. The atmosphere of gossip & suspicion is very well observed & the claustrophobia that the Hydro induces, especially as the residents are forbidden to leave, creates tension. A new resident, Mr Winkley, who fancies himself as an amateur detective, upsets the residents with his blundering questions but the police seem to be no nearer a satisfactory solution. There are so many unanswered questions - why was Miss Blake at the Hydro at all when she never took any treatment? What connection could Miss Blake's murder have with the second murder? If they were committed by the same person, then Sir Humphrey must be innocent & the murderer must still be at the Hydro but Inspector Palk believes the evidence against Sir Humphrey to be strong. 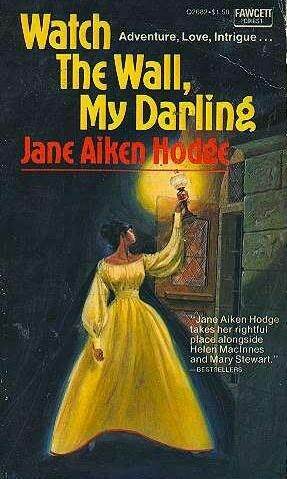 Mrs Dawson unfortunately seems to have plotted out Miss Blake's murder in her notebook before it happened but she is more concerned about plotting the second & third murder for her novel because, of course, there must be more than one murder in a detective novel, the public expect it. Mrs Napier may just be a nutty old lady looking for sympathy or she may be cleverer than we think. Nurse Hawkins was left alone with the victim of the second murderer & seems to have something to hide. Inspector Palk approves of the doctor's attractive secretary, Miss Lewis, but is she just a bit too clever? It proves difficult to discover the murder weapon when nearly all the women & the Colonel knit & there are knitting needles in every room in the place. The murder method demanded a certain amount of medical knowledge but as Dr Williams' medical books lie scattered in every room, it would be easy enough for anyone to discover the vital information. Harriet Rutland manages to keep all her characters distinct in the reader's mind which isn't easy to do with a cast as big as this. 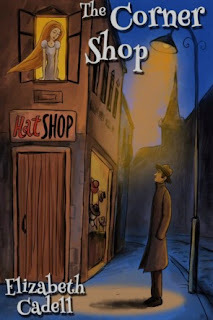 Inspector Palk is a dogged detective who nevertheless needs a little help in coming to a solution but it's all very satisfyingly wrapped up in the end. This is an excellent mystery with a lot of humour & a satisfyingly convoluted plot. I also enjoyed the acute social commentary, that the retired middle classes tend to take people on trust & believe that they are who they say they are as they're too polite to make enquiries. I was reminded of Agatha Christie's similar point in her 1950 novel, A Murder is Announced, that no one produces letters of introduction anymore so how do you know who they really are? This is very convenient, of course, for a writer of mysteries & I was interested that, far from being a post-war phenomenon, it could be just as true in the late 1930s. I was sent a review copy of Knock, Murderer, Knock! by Dean Street Press. 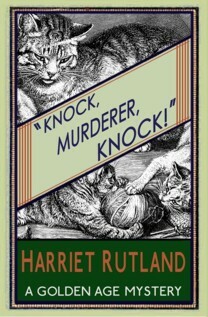 As well as Knock, Murderer, Knock!, which was published in 1938 & therefore perfect reading for the 1938 Club, they've also published Rutland's two other novels, Bleeding Hooks & Blue Murder. Henry Warren is an unhappy man. In his early 40s, he's a merchant banker, running his family firm. He travels constantly, his marriage is miserable & he feels disconnected from life. When he discovers that his wife is having an affair with an Arab prince, he gives her an ultimatum. Leave the prince, leave London & the meaningless social life she enjoys so much, & move to the country to give their marriage one more chance. She refuses & Warren decides to start divorce proceedings. He makes plans to close up his London house &, on an impulse, sets off for the north of England for a walking holiday. His health is suffering, he has insomnia & feels that vigorous exercise will cure him. He sends his chauffeur home when they reach the North & plans to walk in the Borders for a week or so. However, he's taken ill on the road & a lorry driver takes him to a hospital in the town of Sharples. Sharples was once a thriving industrial town. Five years before, the ship building company closed down, the factories closed & most of the adult population has been out of work ever since. As Warren recovers in hospital from a twisted gut, he learns about the long term effects that the Depression has had on the people & the town. When he is admitted to hospital, unshaven after several days on the road & with no money after his wallet is stolen, he's assumed to be a tramp looking for work. He allows this deception, telling the nurses that he's been in America & been sent back to Glasgow after losing his job. It's a common story & easily believed. He is horrified to realise that many of the other patients in the ward are unable to survive relatively routine operations because of malnutrition after years of just surviving on the dole. He begins to investigate the town as he recovers & an idea to rejuvenate Sharples begins to take shape. 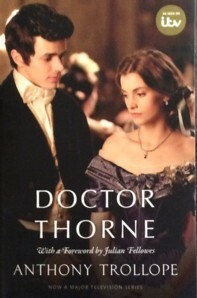 He becomes friends with the Almoner of the hospital, Alice McMahon. A young woman of about 30, she has lived in Sharples all her life. She studied law at Durham but returned to Sharples when the Depression hit, unwilling to get on with her own life & career while her home town was suffering. The hospital barely survives on charitable donations as the patients can't afford to pay for their care. Alice is angry that her community is suffering & falling into despair because of economic conditions they can do nothing about. She worries about the future of towns like Sharples & the families she knows there if ship building never revives & nothing else takes its place. Warren buys the shipyard & uses his contacts with a Balkan government (which includes some spectacular bribery in the form of a jewelled green silk umbrella) to get a contract to build oil tankers. His plans don't run smoothly though, with the workers malnourished & not able to work at full capacity for some time. He also has to engage in some questionable behaviour to get the company up & running, a decision that comes back to haunt him later. What I found interesting was that Warren, who has been a banker all his life, working in the family firm, has no qualms about his actions, even when the consequences are personally devastating. It's an interesting moral question. How far is it permissible to go to achieve a greater good? The change in Sharples once the shipyard is operational again is overwhelmingly positive but a little dodgy dealing is needed to make it happen. The story takes place from 1934-37. The Depression is at its height & there's no sign of WWII on the horizon as yet although there is talk of totalitarian regimes & Chamberlain is Chancellor of the Exchequer. Warren is 43 at the start of the book & he served in the Great War so I imagine he was born in around 1892. 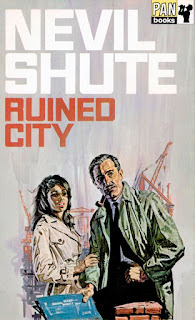 Ruined City was published in 1938 & I'm so glad I had a chance to read another Nevil Shute for the 1938 Club. He's one of my favourite authors, I find his writing quite plodding & pedestrian at times but compelling for all that. I think it's the accumulation of detail which some might find boring but I enjoy. Warren meticulously works out his plans for the ship building business, calculating percentages & interest rates. He goes to Latavia in the Balkans & spends his time losing money at cards to corrupt politicians & dancing with a Corsican girl called Pepita whose connections are integral to the success of the deal Warren needs to get an order for the oil tankers. His moral compass is thoroughly shaken up but the interest in his project turns his life around & gets him through the depression he'd fallen into after his illness & the divorce from his wife. Warren's relationship with Alice McMahon is also very delicately done. It's her passion for Sharples that inspires Warren's plans & the relationship that began as that of hospital almoner & indigent patient becomes one of friendship & partnership in the plan to reopen the shipyard. Warren reminded me of another Shute hero, Donald Ross, in An Old Captivity, & his work as a seaplane pilot. Actually, I think all Shute's heroes have this trait of meticulousness in their work. Tom Cutter in Round the Bend was just the same. I've decided that Shute's men obsessing about business or their planes is the equivalent of women in novels being careful housekeepers. The image that often comes into my mind when I read Shute is of Jane Eyre refurbishing the Rivers' home when she comes into her inheritance. It's the domesticity & detail that I love, whether it's at home or at work. I listened to Ruined City on audio, read by Gareth Armstrong. I enjoy his reading style very much. His reading of A N Wilson's Victoria was one of my highlights of last year. 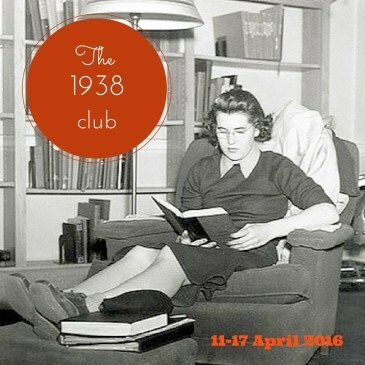 As a way of jumping straight in to the 1938 Club, organised by Simon from Stuck In A Book & Karen from Kaggsy's Bookish Rambles, here are a few links to posts I've written about books published in 1938. I realised how many books I've read that were published in 1938 but lots of them were read pre-blog so I have no record of them. It's not too late to get involved as there are some great short books, like Evelyn Waugh's Scoop, that could be read in a week. George Orwell's Homage to Catalonia is a fascinating account of his service during the Spanish Civil War. The publication of the book in 1938, on the brink of another, much larger war, hopefully gave some people pause for thought. Enid Bagnold's novel, The Squire, is a beautifully-written novel about a woman's total absorption in her own thoughts & feelings as she prepares to give birth. The Code of the Woosters by P G Wodehouse - what can I say? Bertie & Jeeves, perfection! Royal Escape by Georgette Heyer isn't one of her Regency novels. This is the story of Charles II's escape after the Battle of Worcester. I loved it. I'm looking forward to seeing what everyone else is reading this week. I'm sure to find more to add to my tbr shelves.